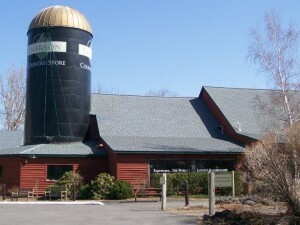 The kaleidoscope is inside a tall black silo located within the Emerson Country Store. The store itself is a minefield of breakable but beautiful kaleidoscopes available for sale. As soon as they spotted us toting a toddler, the staff sensed destruction and quickly escorted us to the interior of the silo. We had the choice of lying on the floor to watch the show overhead, or leaning on tilted back boards. It's not easy getting good photos of the show itself. The images move fast! Imagine this one, then thousands of multi-color mutations, all set to a psychedelic soundtrack! The ten-minute show – colorfully prismatic, musically fast-paced, and somewhat psychedelic – is reflected off three 37-foot tall mirrors. If your supply of hallucinogens is running low, come here instead for a similar effect. The soundtrack is a mix of folk, jazz, big band, psychedelic rock and patriotic music. The high-quality sound system was too much for The Girl, who was just 22-months old at the time. She made it through half before demanding an escape. Also, the kaleidoscope is only about 15 minutes away from Chomsky, the aforementioned 13-foot garden gnome, and 30 minutes from the world’s longest elevated pedestrian bridge, which connects Highland to Poughkeepsie. So if you’re looking for a “Go BIG” trifecta, this is an easy day to check a few off the list! It’s also less than 45 minutes from Kaaterskill Falls, the tallest waterfall in New York State. The kaleidoscope opened in 1996. The silo, part of a restored 19th century dairy barn, is over 56 feet tall. 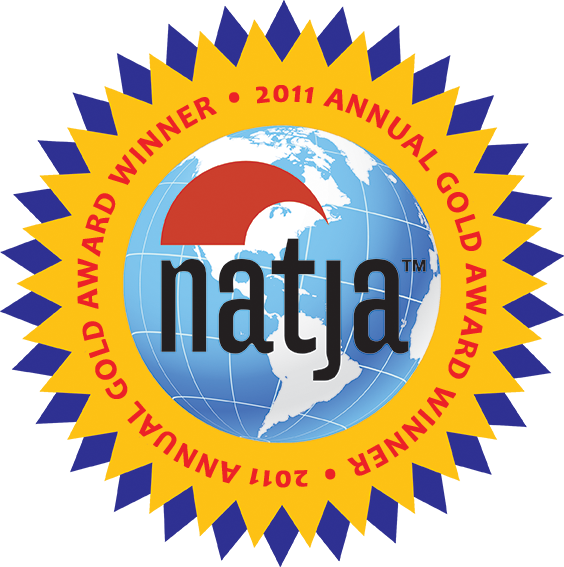 The kaleidoscope itself was designed by award winning kaleidoscope artist Charles Karadimos. Not surprisingly, the video imagery was designed by Isaac Abrams, a pioneer in the psychedelic art movement of the 60’s, and his son Raphael, a computer artist. Accompanying the visuals is a musical score by Gary Burke, a local composer and drummer who has worked with Frances Ford Coppola and Bob Dylan. Three seasonal shows rotate. They include: America, The House We Live In; Metamorphosis; and Hexagram Holiday. 5. Entertaining, but pretty short. And, ironically, comparable to the Mario Galaxy music in terms of sending me into Cranky Land. You’ve just wasted several minutes reading this post. Extend your unproductive screen time on this fun site where you can design your own virtual kaleidoscope! It has my parental seal of approval; The Boy LOVES this! I found this on VeryShortList, a cool site which sends me a short daily e-mail describing intriguing picks for all types of entertainment-websites, movies, books, etc. Great post! 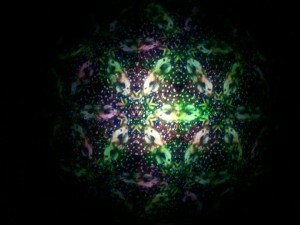 Yes, I love the kaleidoscope too. It’s a great place to take the kids to on a rainy day. It is funny though how people there tend to tense up as soon as you enter with a young child. Kids love it though. Might be scary for a baby though. Vanessa, totally agree with you! they are a little tense with kids in the gift shop. But what a perfect way to entertain them! Heck! I’d come just for the gnome! Great post (and also that stupid Mario music makes me the “world’s crabbiest mom”). Thanks for the link to build my own…that should hold me until I can check this out! Want to head back there after seeing this. This is a fantastic blog! I’m starting a family soon (hopefully) and I’m always looking for inspiring families who aren’t afraid to take on the world with their kids! Looking forward to reading more and good luck in the twitter contest! Thanks, Mary! Really appreciate the feedback. Love your site too, especially the post on the “Temple of the 10,000 Bug Bites!” We have a post here about the seeing the largest Buddha in the western hemisphere, but it doesn’t compare to some of the sites you’ve seen! What an interesting find. Beautiful and educational. Thank you for taking the time to help us travelers who do not like doing “the research”. One error: Kaaterskill Falls is not the tallest falls in NY State. Taughannock Falls is the tallest.